﻿ How to buy wheeled sand washing machine? Location: Home » NEWS » How to buy wheeled sand washing machine? How to buy wheeled sand washing machine? Luoyang Longzhong is a large enterprise for sand processing plants that integrating R&D, production and sales. It mainly promotes sand and gravel cleaning equipment at home and abroad. A high-quality wheeled sand washer can bring great benefits,which is widely used for washing, sorting and dewatering materials in sand and gravel, mining, building materials, transportation, chemical, water conservancy and hydropower, concrete mixing stations, etc., and has become the industry’s recognized recommended high quality sand washing equipment. Faced with more and more sand washing machine equipment on the market, how can users choose the right sand washing machine? 1. See if the hardness of sand washing machine can meet the national quality monitoring standards, whether the sealing device is tight, whether the connection between various components is reasonable, and whether the operation process is smooth. In addition to, the cleanliness, output, grading, performance, configuration, etc. are the criteria for measuring the quality of sand washing equipment. 2. In addition to considering the quality of machine when purchasing sand washing machine, its own material condition is also an important factor. 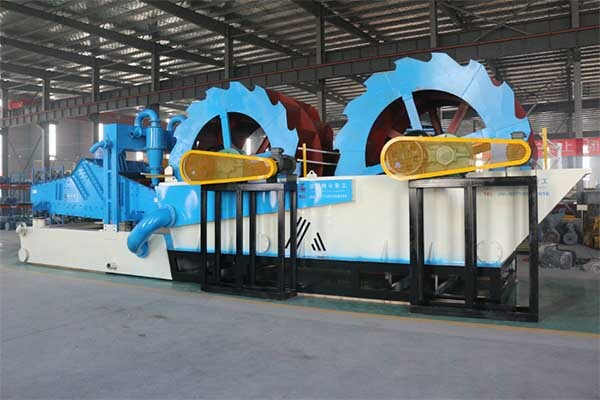 If the washing material contains more impurities or requires a lot of production, the sand screw washer sand washing machine will be a good choice; if the sand particles are small and the fineness is high, in order to avoid the sand lossing and entering wear equipment during cleaning , bucket sand washer will be the most suitable. 3. The operating cost of the whole set of sand washing production line is the most concerned issue for customers. The sand washing machine itself is need to invest, and the customer definitely wants to make the highest profit with the lowest operating cost. When customers choose sand washing machine, it is best to go to the field to see the equipment running site, so that there is a comprehensive evaluation! 4. Now the green production is promoted and proposes products to be energy-saving and environmentally friendly in all walks of life. The sand washing machine manufacturing industry is no exception, so it is necessary to see whether it is equipped with energy-saving and environmental protection devices when selecting products. 5. There are some other matters needing attention when purchasing sand washing machine: to know the material of wearing parts, it is best to use high manganese steel, which is wear-resistant and pressure-resistant to ensure the service life; refer to the overall technical and economic indicators to achieve high quality; read the contract carefully to understand the terms. A complete set of sand washing equipment is indeed a big investment. Customers must consider them in many ways to look for excellent sand washing equipment manufacturers and seek long-term cooperation, in order to ensure the long-term supply of high quality sand washing machine. And sand washing machine is widely used, but its working environment is generally very bad, which is easy to cause failure. The operator must have sufficient knowledge and common sense to ensure the sand washing machine. Previous：What can we do for blocking dewatering screen in running? Next：Why do you choose to have a LZZG fine sand recycling machine?